This news might be very late already, but for some it might still be useful. We recently decided to tinker with our old symbian phones. 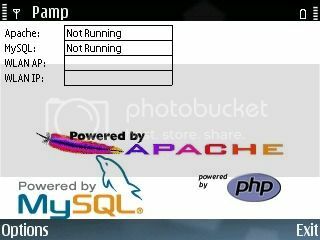 This is after finding out about PAMP (Personal Apache MySQL PHP). Many would probably wonder and say “What for?” as I did, but maybe some will actually find it useful. The answer is, there may be those who want to start learning how HTML, CSS, PHP works so it’s not such a bad idea especially if they don’t have computers. Some also might probably be like us who was thinking of a way of how they can utilize their old symbian phones instead of it lying around their drawers – after all, an extra mini server can serve as a sandbox for play and fun when not busy or just for additional storage especially for the likes who have 16gb units such as Nokia X6 or so. There are always brilliant ideas regardless of the age of technology and gadgets and it’s always cool to find out new things. This one is one proof there is so much to learn even if we’ve got Androids and Apples keeping us busy already. Can u please help me with pamp? Hello, sorry for the late reply. I don’t regularly open this blog that much. Were you able to sort out your problem?